Mailbox holders at the Campus Mail Center can receive and return prepaid packages at Campus Package Center located at Brown Hall. 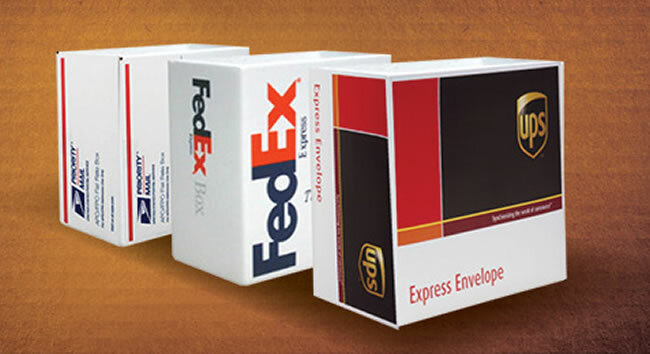 You can pick up all your prepaid packages from Fedex, UPS, DHL and USPS at this one location. Packages are received, scanned, sorted and ready for pickup by end of business day received. An email will be sent out at the end of business day to all students who have packages available for pickup at Campus Package Center. Packages must be picked up within seven business days or a fee will be assessed for storage. Packages not picked up within fourteen business days will be sent back to sender. All fees must be paid to continue to receive packages. This is for packages only and does not affect mail received in your mail box. Prepaid packages may be dropped off at Campus Package Center for Fedex, UPS, DHL and USPS. A receipt will be given student for each package. Packages will go out same day as long as received before carrier pick up for that day. Students may track packages on our website. You can purchase packaging supplies, including boxes, tape, labels, markers, bubble wrap, packing peanuts and more at Campus Package Center.